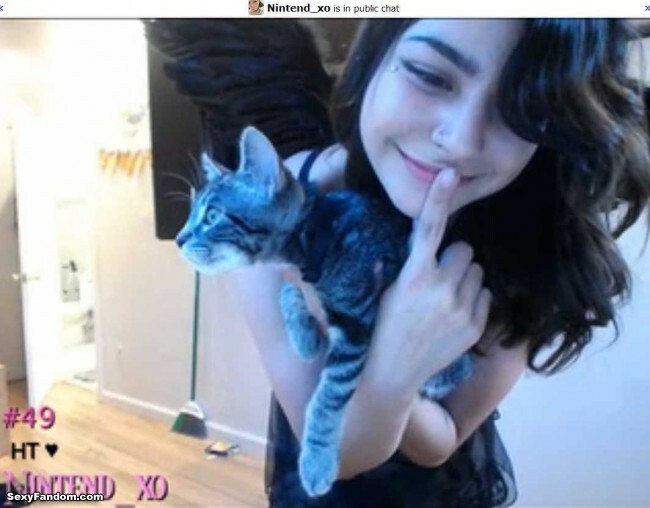 Nintend xo is wearing her dark angel outfit today, but her personality is all sweetness and sunshine and light. I still love the black wings on her. Her shrieks of laughter scared her kitten Tips. I’m not sure if the kitty’s name is really Tips, as some people keep asserting that it is Potato, but I think it is Tips. Tips did get some presents in the goodies which just came in Zia‘s mail. 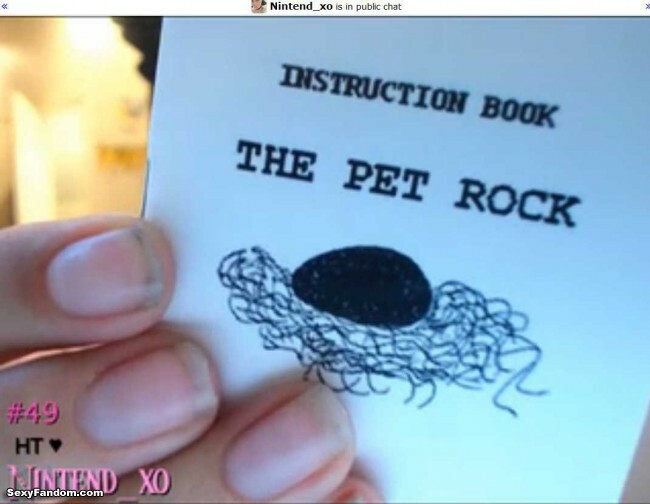 She also got a pet rock, so the cat will have some pet competition. 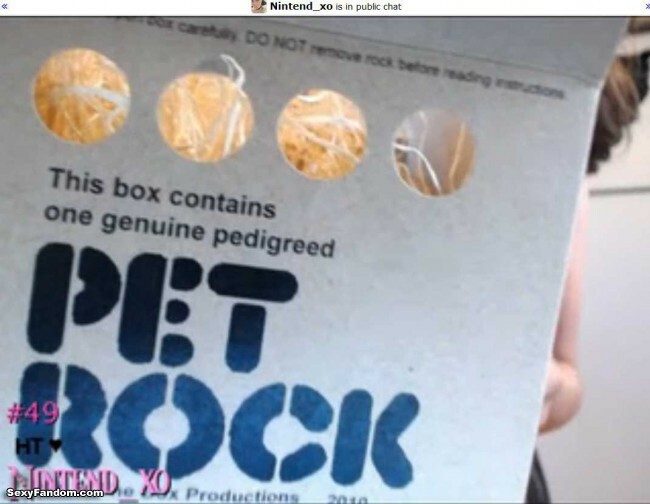 Apparently, pet rocks like to watch television. I wonder if they enjoy viewing cams too. I’m going to guess they do. If I had a pet rock, it totally would. Anyway, Zia needs to figure out good rock names now, so she can name her new pet rock. Some suggest that maybe Potato Junior or Potato III would do, but Zia has nixed that. You guys know any good rock names? Shoutout to Growler, lost Up In the Air some place, but sending a Pet Rock!